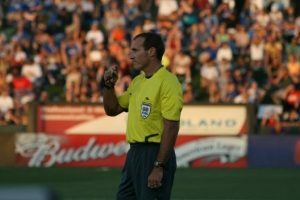 Chris Strickland has announced his retirement from officiating, ending a career which included all 21 seasons of MLS to date. 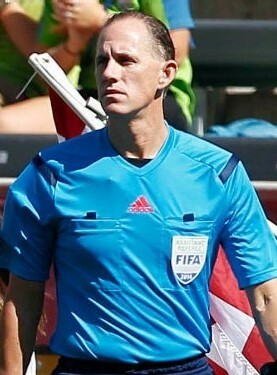 Strickland, who was a FIFA Assistant Referee from 2002 through 2011, worked a total of 295 games in MLS, including 22 MLS Cup Playoff games. 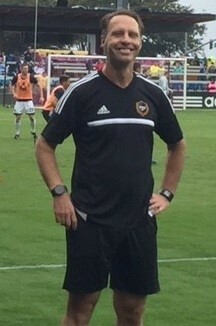 Strickland began his professional career prior to MLS, working in the American Professional Soccer League in 1992. His last professional match was on October 30, 2016, when he ran line on the MLS Cup Western Conference Semifinal between Seattle Sounders FC and FC Dallas. Highlights of Strickland’s career include the 2006 World Cup; the 2004 Olympics; the 2003, 2005, & 2007 CONCACAF Gold Cup; the 2007 FIFA U-20 World Cup; MLS Cup 2005; and the 2006 CONCACAF Champions League Final. 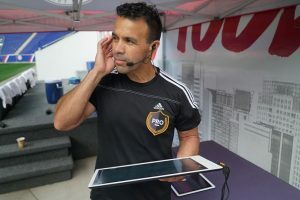 You’ve experienced all the different eras in MLS – starting up in 1996, contraction in 2002, expansion in 2005, and now the “Designated Player era.” Describe how the refereeing has adapted to the different expectations throughout the history of MLS. Well, what’s the same? 22 players, 1 ref, 2 ARs and a 4th official, but that’s about it. In ‘96 we received an assignment by mail a couple weeks before the game, and faxed in our acceptance. Back then, only the referee and the FIFA ARs would travel, and even then they tended to stay within a limited geography. Most games were only televised locally, if at all, which made it very difficult to get to know players and understand team tactics. With the large group of referees used the first couple of years, it was even difficult to work as a team and understand what amount of help each referee needed or wanted. 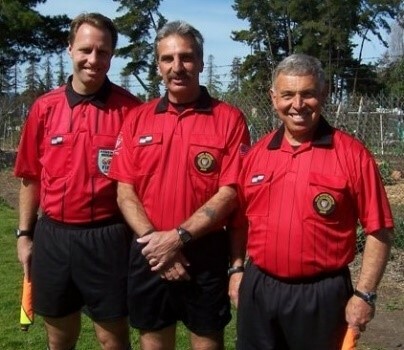 That first season, I only knew one of the referees I worked with. 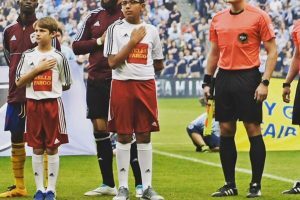 There were about 100 [US Soccer] National Referees in 1996, but I think we used something like 300 officials the first two years, which meant many were not national referees and had only received training and instruction at the local or state level, and it was not consistent across the country. 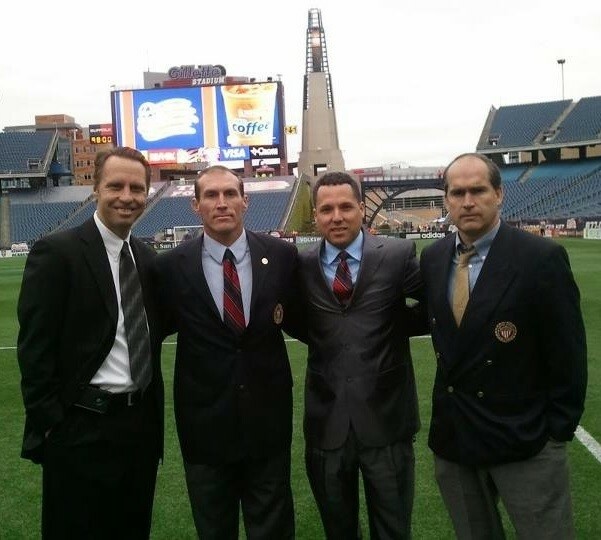 Now we have a small group of professional referees that all know each other and train together a couple times a month. We have professional trainers to help us stay healthy and to help us keep up with the faster speed. In terms of play, the first few years we had mostly college level players that had no respect for one another, which resulted in games with many nasty fouls. We were encouraged to manage players if at all possible rather than send them off. 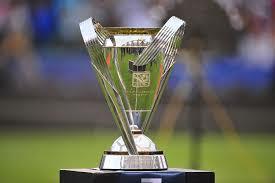 MLS was a starting point for many players who would leave to play in Europe’s lower divisions. Now players want to play in in the U.S. Today, MLS has multi-millionaires who could play anywhere in the world. How did you juggle the demands of refereeing with your family & taking time off work? I am very lucky. I have a very understanding wife and family, and work for a company willing to work with me. My wife knew this was my dream, and she took many vacations with our children that I missed because I had used all my vacation. But this is part of why it’s time to retire, I need to dedicate more time to her. Internationally & domestically, you have checked off the box for virtually every competition as a referee. What words of wisdom can you pass along to the up-and-coming referees? First, it has to be fun. We have a few full-time guys, but for the rest of us, this is just a hobby and we can make a little extra money. You can’t stress yourself out worrying about going to all the tournaments, or being concerned someone else got a better assignment. Do the games you are assigned and have fun with those. It could be you didn’t get assigned to the tournament final because everyone already knows what you can do, but they really needed to see someone else. Second, advancing is often more about what you do off the field than on it. We have a lot of great referees and many of them could work at the highest levels. However, if you are the type of person assignors can’t trust off the field, they won’t give you the games. Can you describe all the work that goes in behind the scenes of the major tournaments? I have been lucky in that I have been to several tournaments and many different countries, yet we don’t get to experience much of the country. Depending on the tournament we would arrive 5-7 days before the opening game. Day 1 is usually a light workout followed by a classroom session. Day 2 is the fitness test – if you fail, you go home with no tournament pay. The daily routine for the rest of the week leading up to the opening game is split between a morning fitness session plus an hour or two of on-field training, then more classroom work in the afternoon. Assignments usually come out 1-2 days before the games begin. Once the games start, we keep a similar schedule, but the fitness session is broken into 3 groups: Those that had a game the day before, those that have a game the next day, and everyone else. The classroom session is a group debriefing of all the games from the previous day. During the sessions before the games start, we review several points of emphasis. The post-game debriefs pull clips from each game to show where referee crews followed the points of emphasis or where they need to improve. We do usually get a couple days off and FIFA organizes sightseeing, but this is usually on days with no games, as we were either working the games, or were expected to be in the stadium watching. Who served as mentors to you, and what lessons did you take away from them? Some of my earliest mentors were Vin Wholley and Bob Martinez. They really helped me understand how to manage players and the game. As I moved up a little, I received help from Brian Hall who taught me more about management and professionalism. 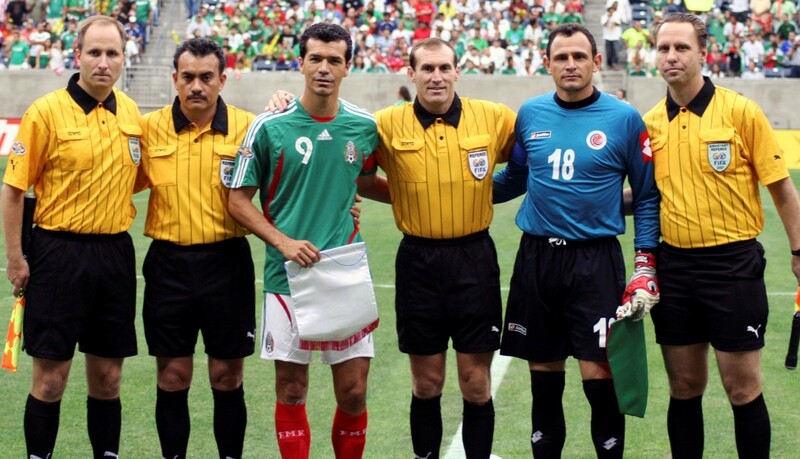 Once I became a national referee, I kept learning about players and game management from people such as Esse Baharmast, Fernando Alvarez, Scott Weyland, Alfred Kleinaitis, and more assessors than I can name. 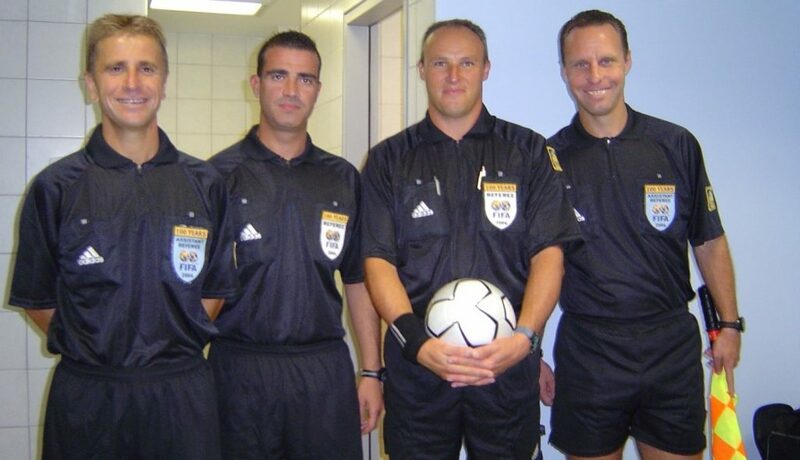 Then there were the other national referees – we talked after every game, and we were always learning, seeing what works for each person and trying some of it in our own games. Is there a game or an experience that stands out above the others? The game I most remember was the quarterfinals in the 2004 Olympics between Iraq and Australia. Iraq was in the middle of a war, and two hours before the game, as we were walking the field, in the upper bowl were several hundred Iraq supporters standing and singing. It helped me remember that this is just a game, but it can unite all of us. What memories are you going to take away from refereeing? All the places I’ve been and the people I’ve met. Seeing star players when they were just starting, like Landon Donovan at the U-20s and Messi at the U-17s [FIFA U-20 and U-17 World Cups]. What are your plans going forward (in life or soccer)? Hopefully, I can contribute to the growth of soccer as a National Referee Coach. I’ll still do a few local games, just to run around and have some fun. I’ll spend a lot more time with the family on a few extended vacations…and not the 2-3 day ones I get now.